Health, happiness, success and potential is easily accessible to you and we can help here at MBX. You can book and visit personally for one off sessions, or join for a program. Programs are also available online; therefore anyone from anywhere can participate. 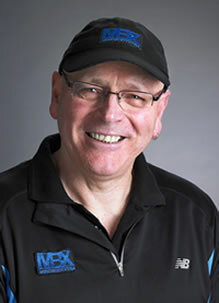 Alan Close at MBX has been nicknamed the ‘Guru’ and ‘is simply the best’ it has been said. A lifetime of involvement has been spent in sport at the elite levels, and also years of strict mediative mind disciplines learnt and practiced daily has brought realisations that will transform you, in all areas of your life. People from all walks of life have, and are, benefiting from these methods and insights that are ancient in origin, but presented to you in an easily understandable and up to date way. And at MBX, you can count on us to count. Ex professional sportsman, coach, mentor and trainer of state, national and world ranked athletes and teams, now author and facilitator of training programs and mindbody therapies at his premises in South Melbourne, Victoria, Australia. Alan, from his playing days and from as far back as can be remembered, was fascinated by what his mind could do. He tells the story of how when he was young, by the power in his mind, he could generate very unusual energy that enabled him to do physical things that he thought everyone could do, but later found that they couldn’t. What he thought was very normal, others didn’t. It wasn’t until his playing days were cruelly cut short by injury that he investigated the mind more vigorously through Eastern meditative training and martial arts principals. It was then he found what he was looking for. In that tradition and training there was the discovery that he in fact didn’t have to find anything. It was already there and inherent naturally in everyone, although not everyone was aware of this. Rather the majority of people had no idea they possessed this hidden away ability. There and then he began his lifelong fascination with people’s potential. If I can do this, he thought, everyone can learn the same! The potential for us all is much more than we can even imagine. From those memories came a drive to assist other people to realise the same, and consequently now Alan is doing that in a number of ways. Through contact trainings and programs, sessions as a therapist, talks and lectures to a variety of audiences and now his ‘e’ Format products, services, courses and training. Drawing from his vast experience with Elite athletes, the business sector, university of the 3rd Age, and people from all walks of life and endeavour, the promise is there of even greater things to come. Strength & Conditioning Coach Reg. Currently studying a Bachelor of Health Science Complimentary Medicine – Naturopathy – Advanced Diploma Western Herbal medicine – Advanced Diploma Nutritional Medicine. Alan’s passion is for you to fulfil your potential physically and mentally, and to show you how by what he’s learnt. Do not be swayed by popular beliefs, rather have the courage to leave your comfort zone and investigate for yourself. You may find by doing that as Alan did that what you may have feared and believed is nothing of the sort, but rather a doorway opening to your greatest achievements. Even though Alan is continually gaining new knowledge via studying and his experiences he will say to you that his greatest achievement, by far, is his ‘PHD of unlearning! !’ The ability to drop that which he already knows, thereby leaving room for what is unknown to enter his consciousness. By saying that it should be clarified and then understood that this doesn’t mean forget what you know. You can’t do that anyway! Rather you should just let what you know drop to the side so that you are then free to have that ‘Einstein aha!’ moment of realisation come to you. Alan Close. Proud holder of a ‘PHD of unlearning’.